Many many moons the lovely Kids Chaos showed us how to make Funky Party Bags from old comics books and a tissue paper box! 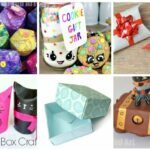 Since then, I had a go at making easy gift bags for awkward gifts from wrapping paper and it made me come up with a combination of the two……. 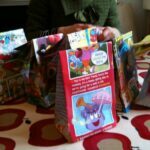 super quick and easy DIY Party Bags recycled from comics! 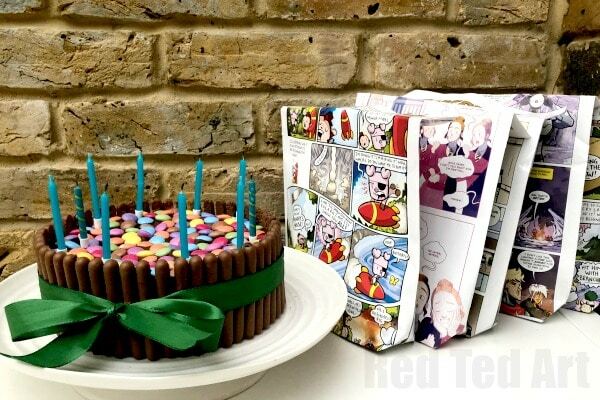 These old Comic Party Bags look fabulous, are quick to make and fabulous because they are environmentally friendly (well our old comics where about to be recycled.. so why not use them as DIY Party bags first). I also used the same comic to wrap a large joint gift for a friend’s birthday party.. and decided that that looked rather fabulous too. So if your kids love to read comics.. and you always throw them out when you are done with them: don’t!!! 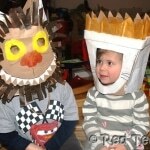 Save them for furture parties and gift wrap! The party bags probably take about a minute or two each to make. So they really don’t take a lot of time! 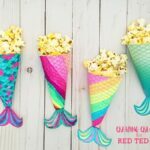 A great way to make your own party bags template not needed!!! 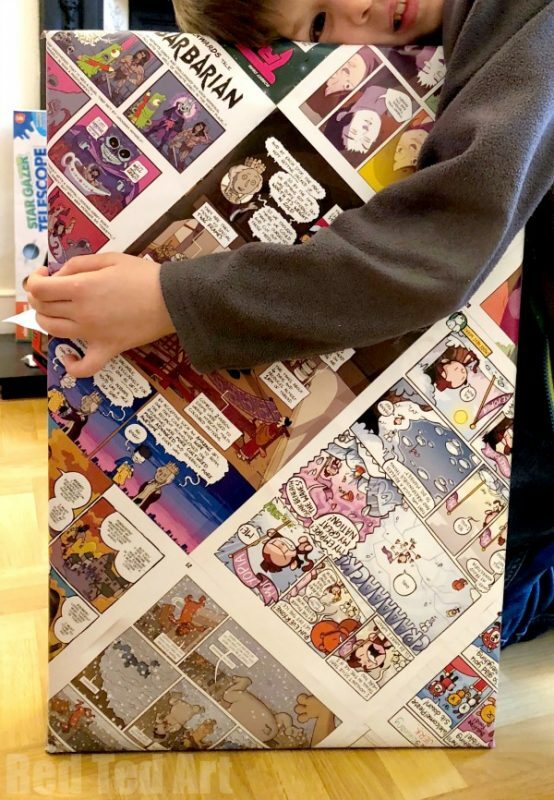 We also used the comic books and made one large sheet of gift wrap out of it – for a large joint gift (to another friend) – you can see a photo of that below. 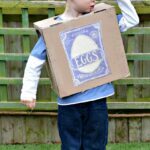 I think it looks fabulous and is a really fun way to upcycle! NOTHING else. Isn’t that fabulous? No cutting required! *we made our party bags quite big, as had some notebooks to add. 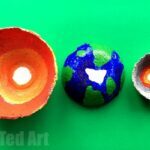 If you want to make them smaller, you can use a single page, which you would need to cut down to size or carefully tear along the centre. Watch the Comic Book Party Bag DIY video!! 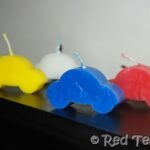 OR ready the Gift Bag Step by Step instructions below! To be honest.. you have all the step by step photos you need over on the Gift Bag for Awkward Gifts post (including lots of photos)! But I can run you through the written instructions again. Begin by selecting a “double side” that you like the comic strips on. Usually we find one side is nice than the other. If like us you have A LOT of comic books to use, you can be fussy and really just pick your favourites. But if you don’t have too many, any double spread will do! Tape down the side. I used 3-4 pieces of shorted tape to do this, to avoid getting the tape all tangled up! 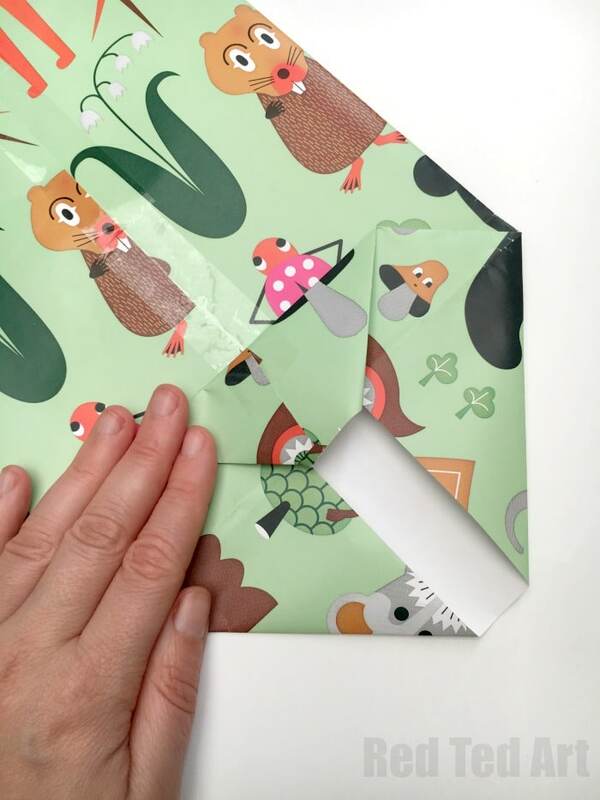 Fold up a flap – if the flap is narrow, the party bag will be taller but thin. If the flap is wide, you will get a short diy party bag, but wider. So it depends on what you plan to put in. Now fold down the side – to from a triangle. Repeat on other side. 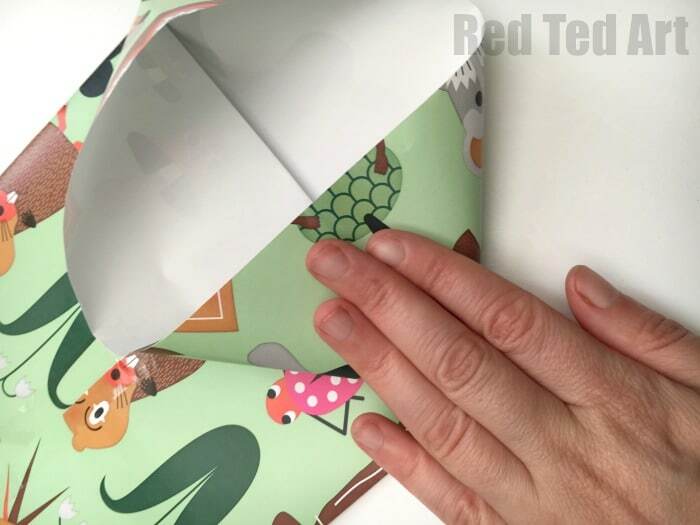 Fold down a flap and repeat on other side. Tape down. 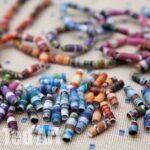 This forms the base of your DIY party bag! 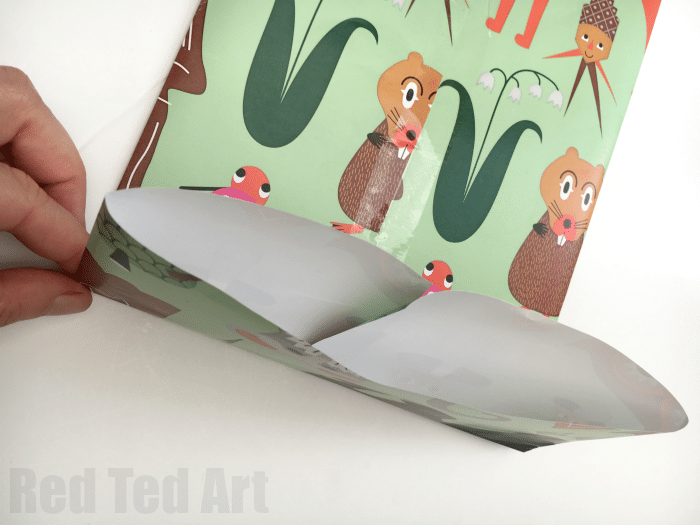 We also created a GREAT BIG sheet of gift wrapping paper, but carefully taping together a number of sheets. 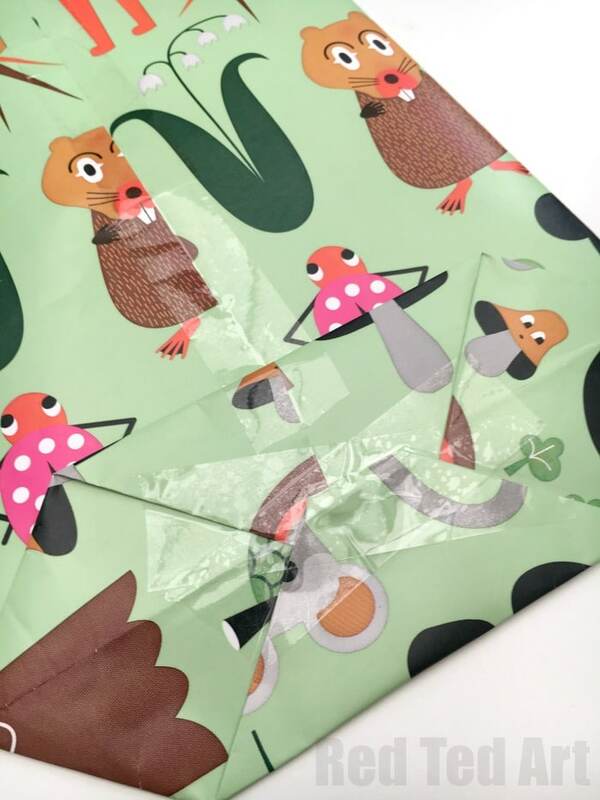 Then placing the gift DIAGONALLY on the paper and wrapping it. I think it made for really effective (and recycled!) 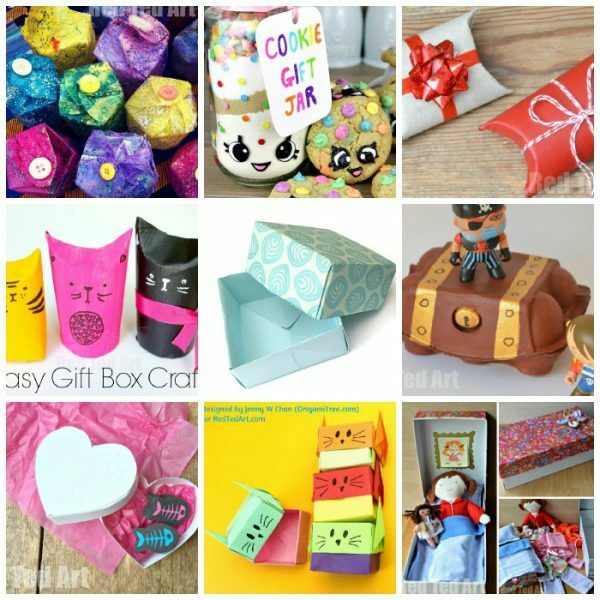 DIY Gift Wrap too.. don’t you think? We are now hoarding all our old magazines, so we can make more comic wrapping paper!! As mentioned, these make great party bags or gift bags.. be it for an “ordinary” party for tween kids, or maybe a cosplay party (needless to say, don’t use your FAVOURITE comic books for these.. but comic magazines that you have finished with!! ).